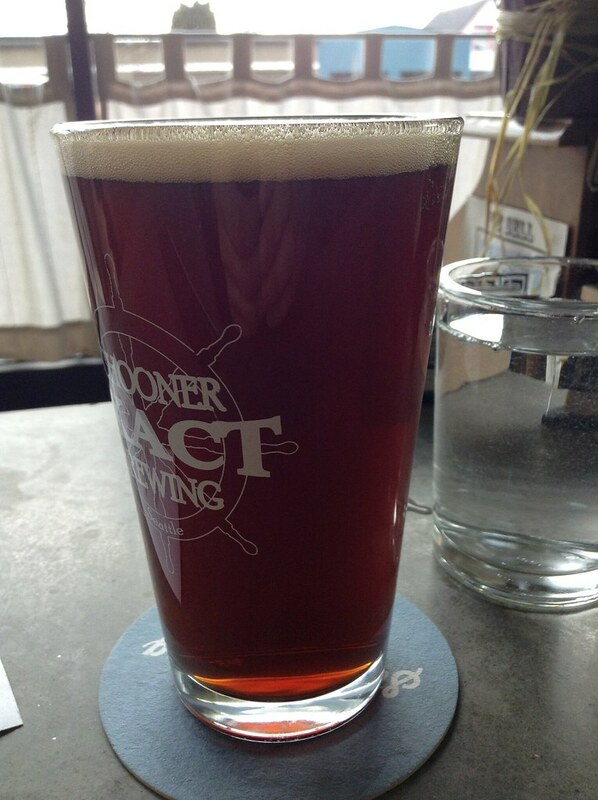 I am having Block 15’s Ridgeback Red. It has a hearty citrus bite at the end of it but the nose is faint, though steady. What’s weird is the middle. 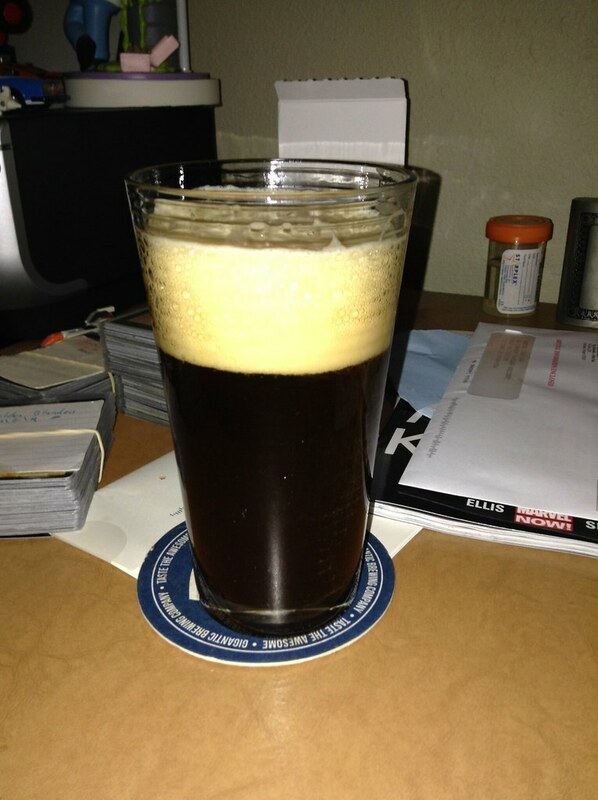 It’s practically flavorless but there’s a density to the mouthfeel; this beer has weight but not a lot of malt flavor. I don’t know what to make of that. The rail at 1856 is small and feels unwelcoming. This is what happens when you let looks override practicality; the cement bartop is sturdy and fits with the aesthetic (clean, sparse) but has the feel of cement (so there’s a grittiness under my palms as I type) and it’s doesn’t feel very comforting. Bars should feel welcoming. Now, this is a bottleshop and it tilts towards wine so there may be a quality I’m unappreciative of. I don’t think it’s really meant to be a local bar. I think it’s meant to be a local bottleshop: you walk down here, grab a bottle of decent stuff for your pals, head back home and try the new cool thing. The bar feels more like a secondary purpose. You can drink here but they don’t really care if you do. My critique is strictly about the place, though. The bartender was cool and did what he was supposed to do. I don’t fault him for working in an environment that doesn’t care if I stay. It’s a decent view of the neighborhood, though: looking out I can see the houses that have clearly been getting paint, yards a little more attention. A spot that not too many years ago was a bit grodier is reaching to be a nexus for people to build out from. The clouds plod in like epic starships from the west, turtle-amorphous and white capped, their dark bellies shielding our eyes from the inner workings of the ships. It’s a pretty cool view and it is hard to begrudge that, even if I don’t think the bar is all that welcoming. More than two-thirds done with my ale, my opinion of it isn’t that changed. I’m starting to pick up a little bit of roastiness underneath it all: that’s the malt quality but the hops are the overriding flavor in this beer. It’s not bad but I’m not excited by it either. It’s OK. They cannot all be winners. I don’t get a reason to come out to the Northeast part of the city though and for today, that view is its own reward. Last week I was fortunate enough to be at a friend’s house when they pulled out a large cardboard box full of beer. So I reached inside, grabbed three bottles and brought them home. With a friend, we tried all three and I got down my (and some of her) thoughts. I picked this bottle out because there was a wolf on the cap. Why not, right? This style usually suggests pine flavors, especially in the bitterness but this beer is far more citrus oriented. There’s a sweetness in the middle to help keep it balanced but neither of us can really put our finger on it. 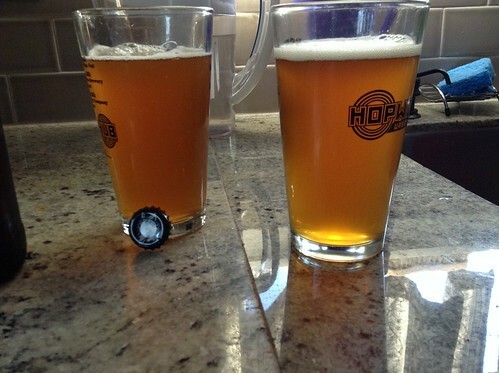 However, this IPA leaves a chewiness on the end and as we drink, we start to get a wet paper quality that really keeps this beer from sticking the landing. This beer’s carbonation is steady but doesn’t allow for any aromas to be released, except a small grassy hint, and the sweetness in the middle gets cloying fast without some real counterweights. This is most likely a brown porter-too alcoholic for standard brown ales at 6% but without the hop character that I’d expect from an American brown ale. It’s damn tasty though and I could see a great many pints of this disappearing from my table. 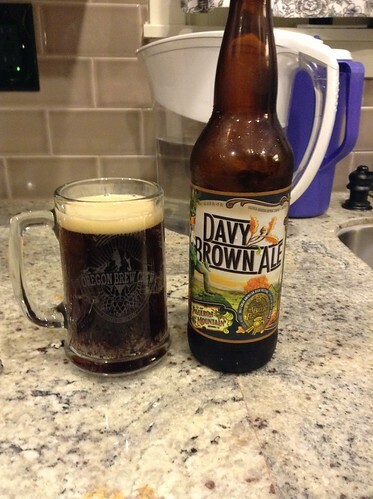 It’s difficult to write further about brown ales, because they are by design more nondescript. Still, there’s a nice chocolate note without it being too heavy and a nice finish. It’s delicious, belonging just as easily with a dessert or a slice of pizza. Have some. Piney, but not super intense. The beer itself isn’t too intense and tries to finish crisply but there a dirty flavor that comes back to haunt the Resonation that I’m trying to scrape off the top of my mouth. Something grassy at the end, before the dirty finish. It isn’t really helping but I think they were trying to get some hop character in there. That’s pretty good for the last word. How Long Have We Been Drinking? According to this article, we may have been drinking before we could be categorized as ‘homo sapien’. First; that’s a long, long time. Third; did we to evolve with the hangover part, too? I mean, c’mon evolution. Let’s get past that! I’m showing Bailey’s off to a friend visiting town and have recommended Trinity’s Chocolate River, based on my enjoyment of their Swingline ale a few weeks ago. She takes a sip of it and then cuddles it to her breast, looking out over the glass like a wolf ready to defend her prey. I’m drinking the Fort George Optimist because I’ve had a few IPAs lately that have called into question what I like about IPAs. As in: do I really know what the hell they’re supposed to taste like? 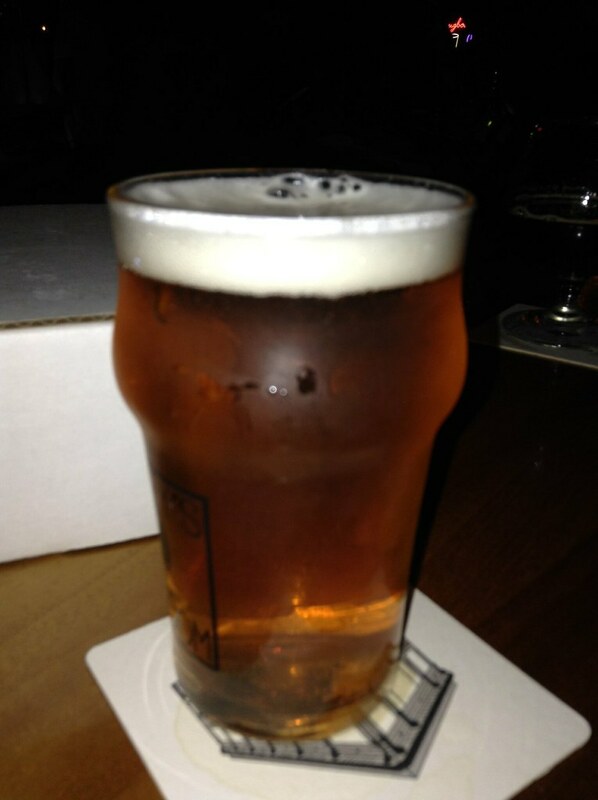 So I’m trying to recalibrate everything with another IPA. In an attempt to get a scent of the Optimist I stick my nose in too far and snort IPA up my nostrils. I do not advise this method of flavor testing. Fresh grassy, pine notes though come through when I’ve wipe my proboscis and the bitterness on the finish reflects these flavors and not anything skunked. This sets my mind at ease: I’m not crazy, something is wrong with the beers I’ve been having! Because I am just confident enough to feel like I have some authority about beers and styles but that’s not the same as knowing. After two other pale/IPA styles that were just not right, I started to wonder if I was just incorrect about what those beers should represent. The Optimist helps set my palate upright again. This beer is problematic and may also be a starting point to illustrate how difficult brewing can be. The Long Hammer smells skunked. It’s right there in the nose and even worse, the beer finished with that same flavor: skunky. Typically, a skunked flavor means that the beer is light struck and this is a very, very odd condition to meet with a craft beer, because bottling and packaging are constructed to prevent this circumstance from happening. Yet I cannot deny: This is the case. 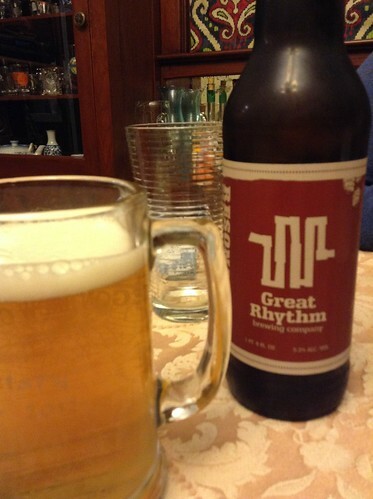 Now, is this beer a victim of big box store care? Is this just bad luck? Is it problematic because of the brewery? In any case, it has become difficult to focus on the middle of the Long Hammer, where the balance of this beer would rest. I don’t get the sense that that middle is bad or off center but the flaw in this beer overwrites everything else. What I’m recalling is that I had similar issues with Deschutes’ Mirror Pond ale. There must be some good pale/ipas on the mass market, right? 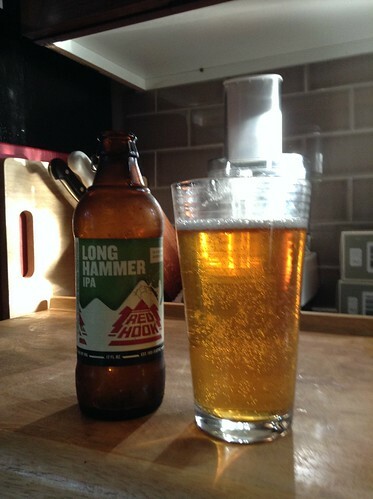 The fine people at Redhook told me that the Long Hammer IPA was their best seller outside of the Seattle region but in the Seattle region, their ESB sold better. So let’s take a look at what those Seattlites apparently know that we don’t. 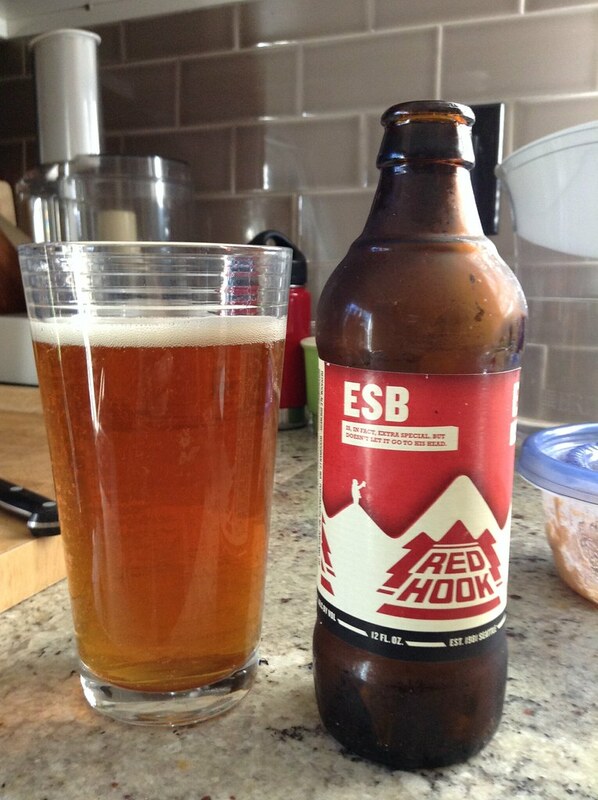 Redhook’s ESB has a pretty malty nose, with some uncooked bread scents there. There is a little bitterness in the finish but nothing too strong. Nothing too strong might be a good throughline for this entire beverage. It’s got a sweetness in the back third of the drink but nothing really before that. The effervescence plays cleanup to most of the flavors and all in all, this feels like a good picnic beer. The kind I’d bring to some outdoor event, have something barbequed, wash it down with this ESB. In this respect, I have to praise this beer for that quality. It’s a decent ‘intro to craft beer’ ale, with nothing overpowering going on to intimidate the neophyte but enough of something going on that they know they aren’t drinking a macro lager. And because I can see this in a more social setting, it’s the kind of beer that I can envision handing off to someone who might feel a bit of trepidation about beers that aren’t fizzy and yellow. I, personally, would like just a little more malt there. This ESB isn’t soda light in the mouthfeel but a little more ooomph there and I’d probably dig it more. As it is, I still feel like I’ve got a solid little beer to bring with me to the next picnic.